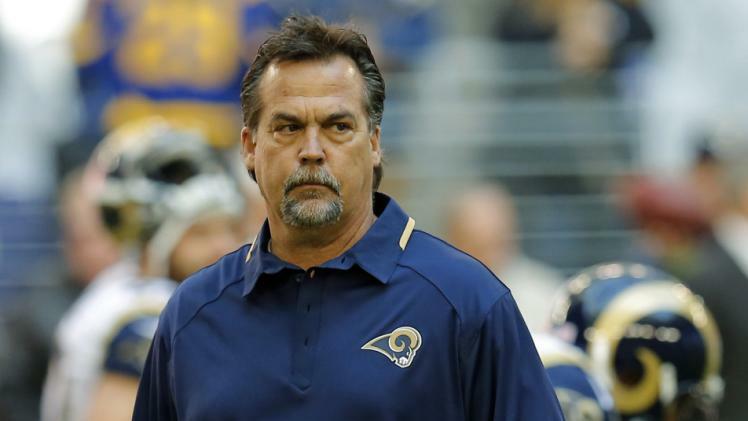 In Part 1, we discussed the problems that the Los Angeles Rams will have to deal with in the off season. So now, let’s discuss how we fix them! As measured from 2015 records, the Rams are faced with the third hardest regular season schedule in 2016. So some serious reconfiguring will need to be done in the off season. Thankfully, the Rams have the 10th most cap space this off season ($36,722,297), the 15th overall pick and 2 second round picks in the NFL Draft. So there’s plenty of opportunity to make improvements. The question, of course, is where do you make improvements first, and whether looking to the draft or free agency is the better solution. In my opinion, the Rams need to address the QB position first, followed by WR, CB and OL. Traditionally, if I’m looking for a franchise QB, I don’t normally look to free agency. That, in addition to a week free agent QB class, means the Rams should consider using they’re first round pick on a QB. Unfortunately, other QB needy teams draft before the Rams at 15, like the Browns, Cowboys, 49ers and Eagles, so it’s hard to predict who will be left. I’m fairly certain that both Jared Goff (Cal) and Carson Wentz (North Dakota State) will be gone by then, but if not, its a no brainer to take one of them. As I discuss previously when I talked about the Browns, both Goff and Wentz are terrific QB prospects with significant upside. But assuming they’re gone, I think taking the next QB on the board, Paxton Lynch (Memphis), is not a slam dunk decision. Lynch is a decent prospect, but comes with his share of question marks. In fact, WR is also a serious need as both Brian Quick and Wes Welker (or the shell of Wes Welker) are free agents, leaving Tavon Austin and Kenny Britt as the only WRs left on the roster of consequence. Thus, I’d prefer taking WR Laquon Treadwell (Ole Miss) over Lynch if he’s still on the board at 15. 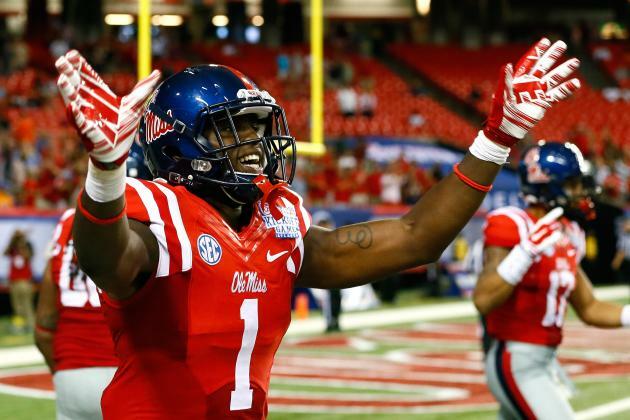 Treadwell came back from a bad injury in 2014 to have his best season in 2015, leading the SEC with 82 catches for 1,153 yards and 11 TDs. He has significant athleticism and run-after-catch ability, which allows flexibility as to where he lines up and what routes he can run. Some have even compared him to Dez Bryant, minus the off field issues. And who wouldn’t want to add that to their team? Employing that strategy could still allow the Rams to grab an equally questionable, but high potential, QB in the second round in, perhaps, Conner Cook (Michigan State) or Christian Hackenberg (Penn State). If Goff, Wentz and Treadwell are all gone by 15, then Lynch begins to make more sense. In his junior (and final) year with Memphis, Lynch completed 66.8% of his passes (296 of 443) for 3,778 yards with 28 TDs and only four INTs. 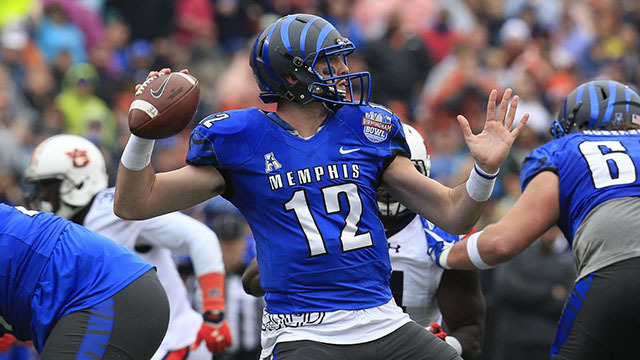 In fact, Lynch started 39 consecutive games at Memphis setting career-highs in 2015. He had an impressive win against Ole Miss, but then proceeded to crumble against Auburn in the Birmingham Bowl. Many attributed this to his lack of experience against significant competition and his over-reliance on the screen pass, leading to concern over his ability to adapt to the NFL. I think it’s a little bit of a reach for Lynch to go 15th overall with these outstanding questions, but he has enough upside to be worth the pick. If the Rams do manage to grab a QB in the first round, at least one second round pick should be used to draft a WR, preferably Will Fuller (Norte Dame), Josh Doctson (TCU) or Tyler Boyd (Pittsburgh), in that order. And as I discussed when I talked about the Raiders, CB Vernon Hargreaves (Florida) and Mackensie Alexander (Clemson) are also considerations to be drafted in the first round, if available and Lynch is gone, as I like them as defensive prospects on a CB-needy Rams defense. Finally, with a potential need at C, Ryan Kelly (Alabama) or Nick Martin (Notre Dame) might be a good pick in the second round, if available. If not, late flyers in the 5th round or later on Max Tuerk (USC) (assuming he proves he’s recovering well from his October 2015 ACL tear) or Evan Boehm (Missouri) are also under consideration. It’s a bit early to determine what free agents will actually be available and which would be the best potential fit for the Rams, but here are some initial thoughts. QB Case Keenum is a restricted free agent, and head coach Jeff Fisher did name him the starter “entering the offseason”, but really, the Rams could likely do better. 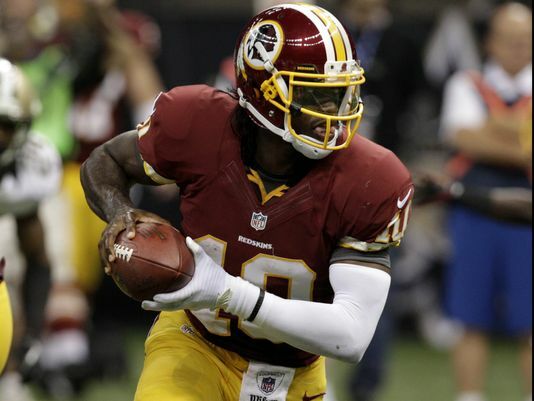 It might be worth considering Robert Griffin III, as he was severely mismanaged and finally let go by the Washington Redskins, and had shown flashes of ability during his rookie year. If he could be obtained on an incentive laden short term deal, it might make sense to let him compete for the starting job if the Rams use a later pick on a young developmental QB. C Tim Barnes is a free agent, and the Rams are best off letting him walk and seeking a replacement. Looking to free agency makes sense, but there just isn’t much C talent in free agency, so this is better addressed in the draft, as noted above. Re-signing free agent CB Janoris Jenkins should be a priority, with Trumaine Johnson as a secondary priority, as both played well in 2015 and there aren’t many clear free agent targets at CB. At least it appears that the Rams will place the transition tag on Johnson if a long term deal can’t be met. And E.J. Gaines should return from a Lisfranc fracture, but there’s no telling how effective he’ll be. As far as available free agents, Josh Norman is almost certain to be re-signed by the Panthers, and Sean Smith is almost certain to be re-sign by the Chiefs. If Smith becomes available, I would certainly target him. But if the Rams want to get a little more value at CB, targeting free agent Prince Amukamara off a down year might be a good option. Well, that’s it, Ram fans. My thoughts on how get that elusive winning season. And remember, regardless of how bad next season is, at least you have NFL football back in LA. And you don’t have to play with He-Man figures and Rubik cubes. Yup, we’ve come a long way.